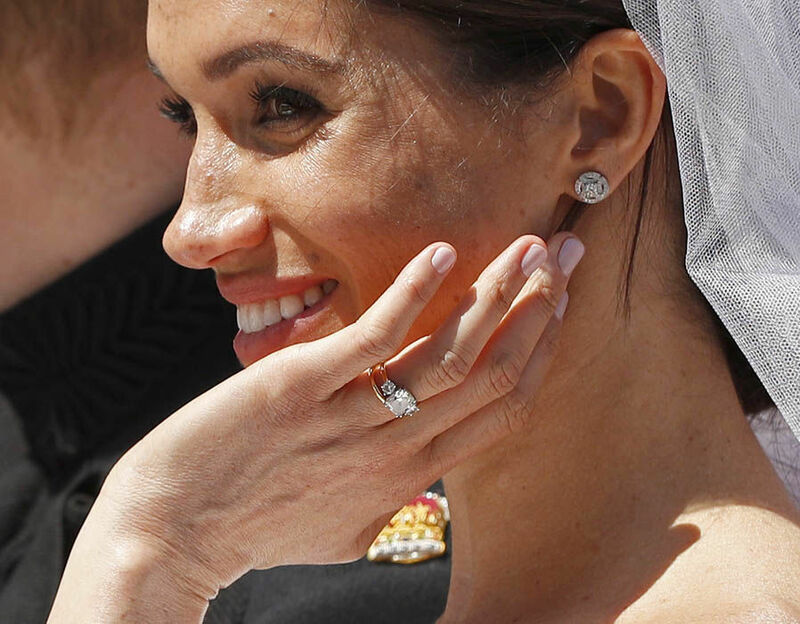 MEGHAN MARKLE made her first solo outing with the Queen in Chester yesterday with Kensington Palace revealing that the Queen had gifted the newly named Duchess of Sussex a beautiful pair of diamond and pearl earrings. 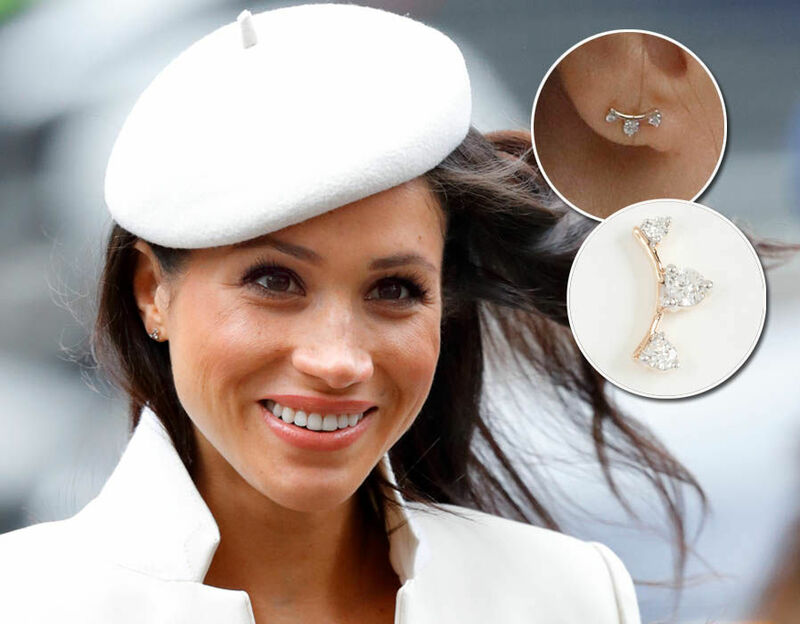 Take a look at her royal jewellery collection. 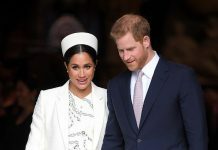 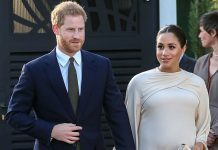 Meghan Markle, 36, has thrown herself into royal life since her engagement to Prince Harry, 33, was announced in November last year. 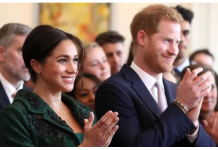 The newlywed Duchess of Sussex has made a number of public engagements across the country with her husband but it was her first solo engagement with the Queen yesterday that excited royal fans the most. 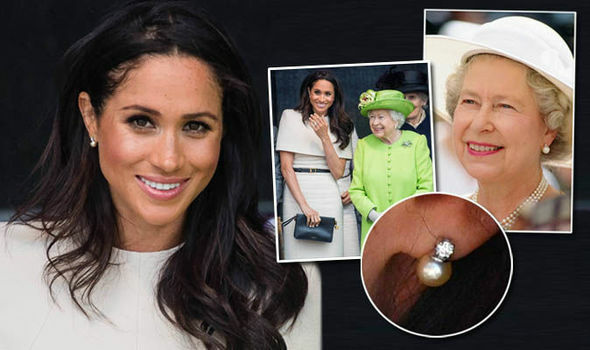 Buckingham Palace confirmed Queen Elizabeth II had gifted the newest member of the Royal Family with a pair of diamond and pearl button earrings strikinely similar to the monarch’s favourite pair ahead of their joint royal visit. 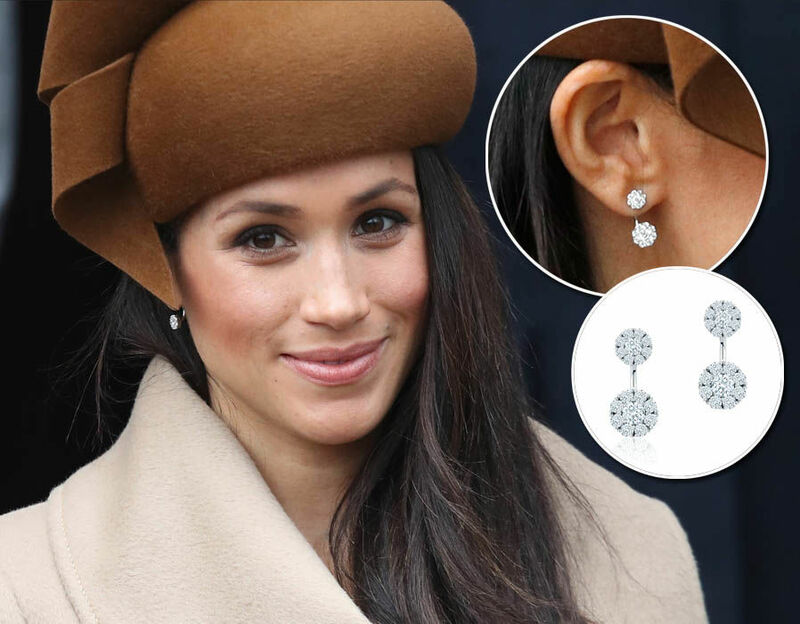 Meghan wore the beautiful earrings with pride during her royal visit to Chester with Her Majesty the Queen. 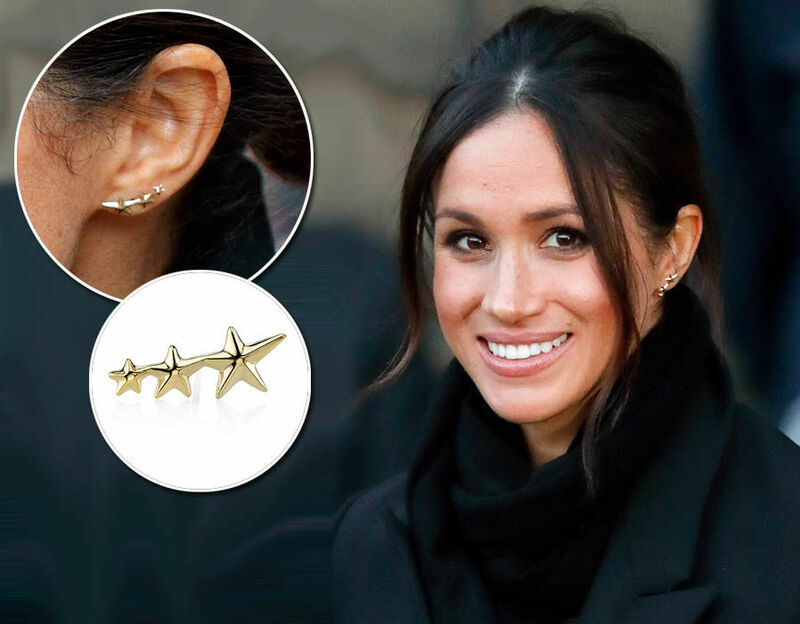 The stylish former actress has amassed a huge following with her effortless chic style and elegant jewellery. 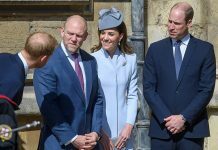 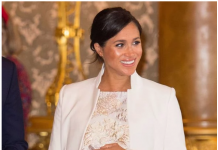 The Duchess, who rose to fame on American TV show Suits, is a fan of Canadian jewellers Birks and is often seen wearing their pieces. 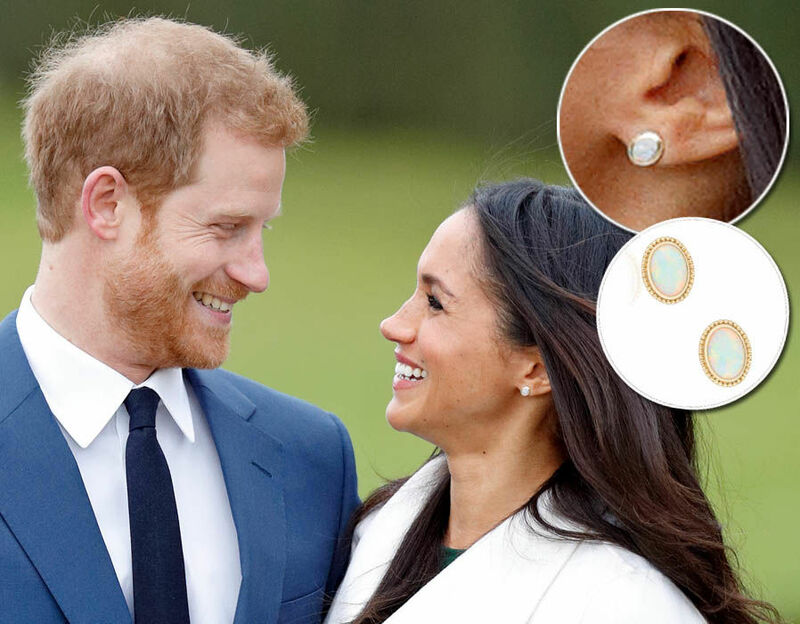 For the official announcement of her engagement, Meghan wore a pair yellow gold and opal earrings from Birks costing £732. 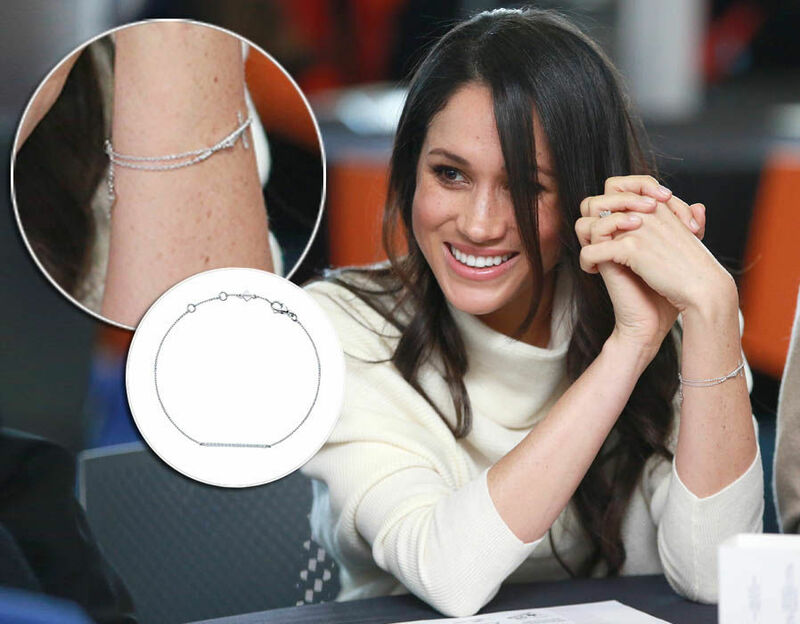 She also wore jewellery from their collection during a visit to the Millennium Point in Birmingham on International Women’s Day. 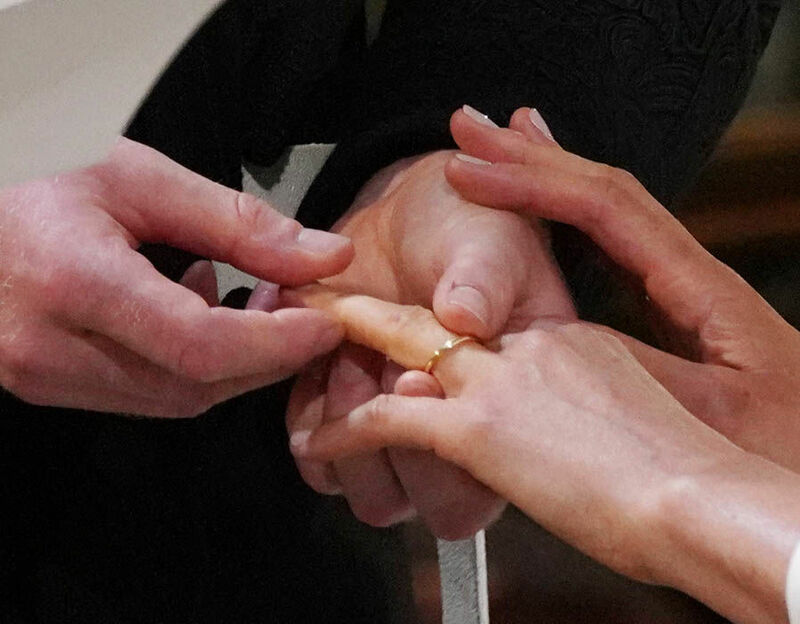 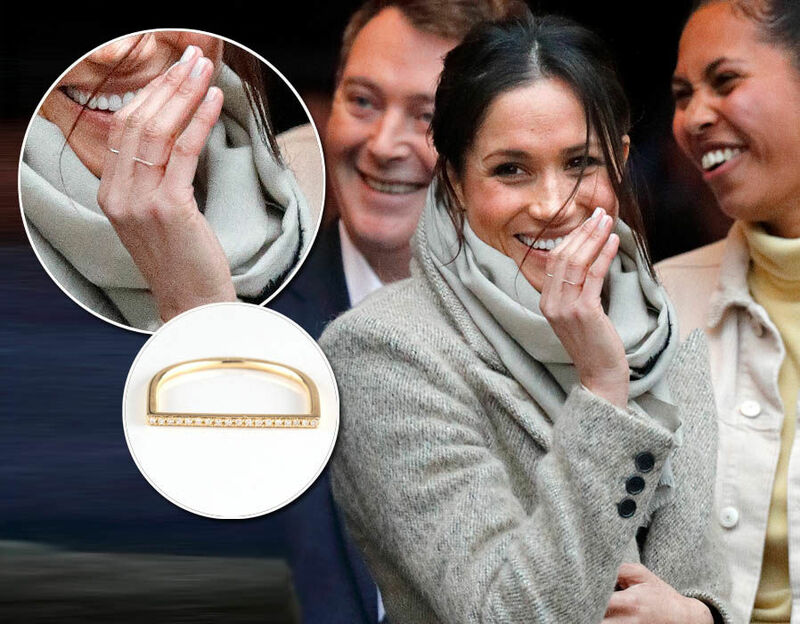 The bride-to-be was seen wearing a diamond horizontal bar bracelet costing £529. 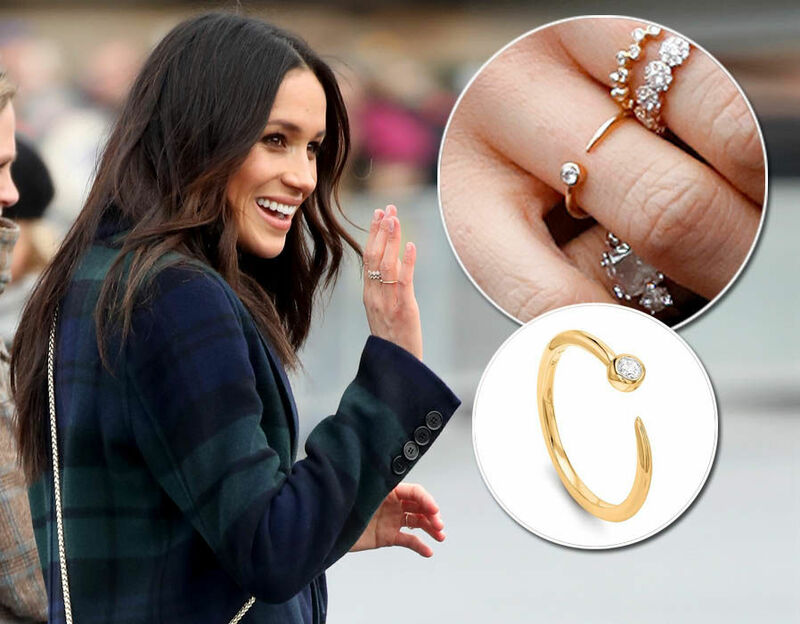 When Meghan joined Harry for a tour of Edinburgh in February, she again opted for the brand wearing their diamond snowflake ring, £2,858 and yellow gold splash ring, £855. 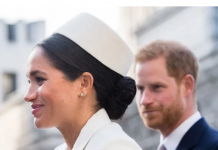 Meghan’s collection also includes pieces from Adina Reyter, Missoma and Gabriela Artigas. 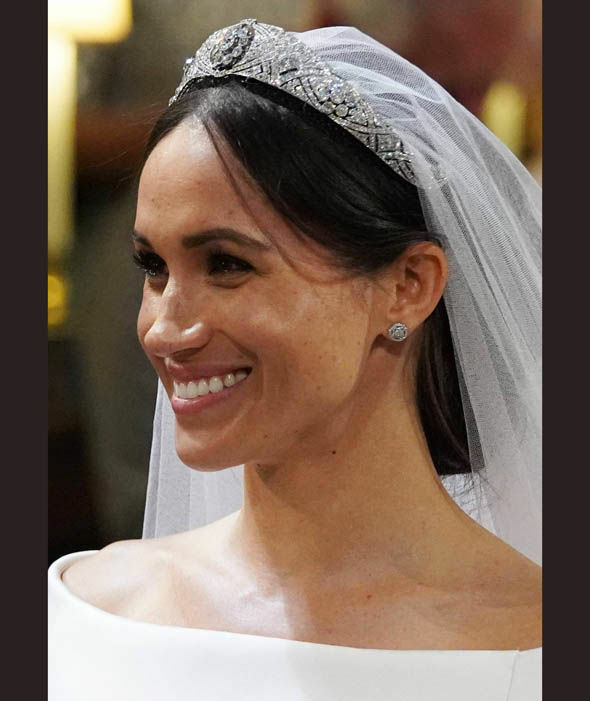 Look through this gallery to see pictures of her favourite pieces of jewellery including her exquisite engagement ring. 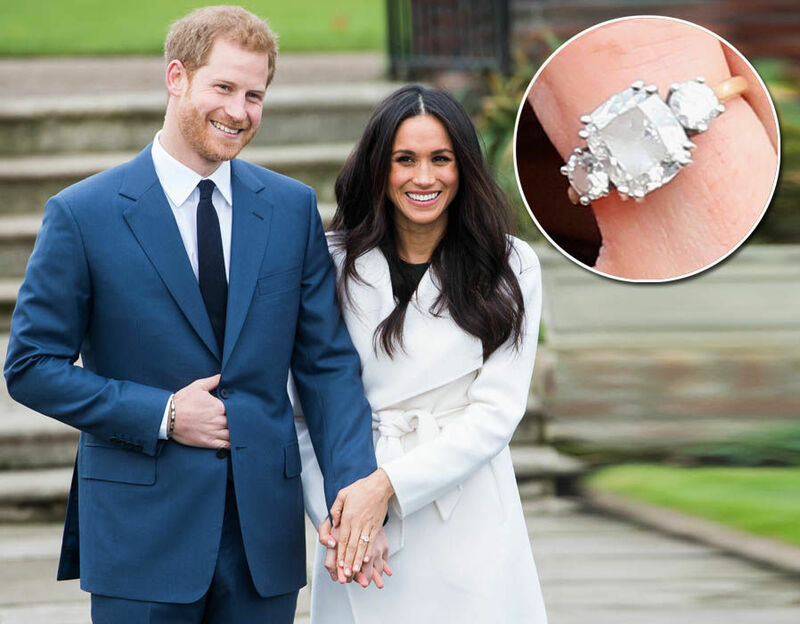 Prince Harry proposed to Meghan with a stunning bespoke diamond engagement ring. 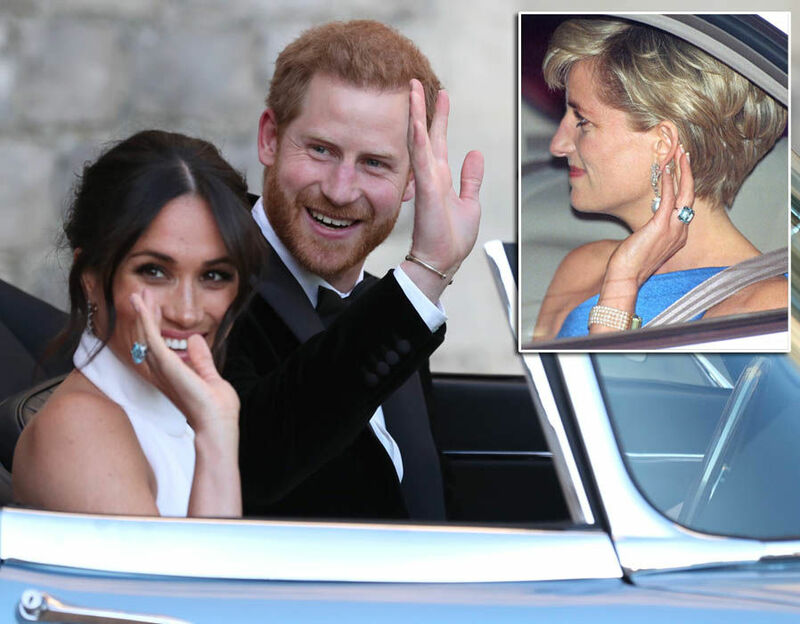 The beautiful ring features diamonds from Botswana and his mother, Princess Diana’s personal collection.